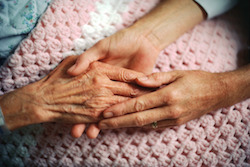 As loved ones age, family members often turn to nursing homes to care for their elderly. Such a decision is driven by the hope that their elderly loved ones may be adequately cared for and would be able to spend their final years with peace, dignity and respect. However, that is too often not the case. In fact, many nursing homes have found themselves before the courts being sued for neglect, as well as, outright abuse inflicted upon the elderly in their care. Juries have awarded compensatory damages as high as $110 million against nursing homes for abuse and neglect. Nursing homes enter into a fiduciary relationship with their residents. Nevertheless, far too often, the staff of nursing homes often neglect their residents, subject residents to poor hygeine, physical abuse, sores, injuries, beatings, bruises, as well as, poor sanitary conditions. The National Center on Elder Abuse, Bureau of Justice Statistics reported that there were 5,961,568 elderly abuse cases in 2010, with the median age of elder abuse victims being 77.9. Broyles, K. (2000). The silenced voice speaks out: A study of abuse and neglect of nursing home residents. A report from the Atlanta Long Term Care Ombudsman Program and Atlanta Legal Aid Society to the National Citizens Coalition for Nursing Home Reform. Atlanta, Ga: Authors reported that in 2000, one study interviewing 2,000 nursing home residents reported that 44% said they had been abused and 95% said they had been neglected or seen another resident neglected. U.S. Government Accounting Office (2008). Nursing Homes: Federal Monitoring Surveys Demonstrate Continued Understatement of Serious Care Problems and CMS Oversight Weaknesses (Publication GAO–08-517) reported in a May 2008 study conducted by the U.S. General Accountability Office revealed that state surveys understate problems in licensed facilities: 70% of state surveys miss at least one deficiency and 15% of surveys miss actual harm and immediate jeopardy of a nursing home resident. Further, the National Center reported that 91% of nursing homes lacked adequate staff to properly care for their patients. This, of course, should be a concern to anyone considering placement of their loved ones in a nursing home setting. Accordingly, it is imperative that family members follow up on the care and treatment being received at the nursing home. Any indication of abuse or neglect should be investigated further. In the event that evidence of abuse or neglect is present, authorities should be notifed immediately. 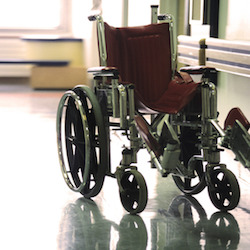 You should also contact a Nursing Home Negligence attorney to further investigate evidence of abuse or neglect and file the appropriate claim or lawsuit against the nursing home, as well as, all responsible parties.